Animal Wildlife | Whale Shark | The whale shark is the largest species of fish with some adult whale sharks growing to nearly 50ft long!The whale shark is thought to have developed around 60 million years ago making the whale shark one of the oldest species on Earth today.The whale shark spends it's life swimming through the open oceans in search of fish and squid.Unlike many other species of shark,the whale shark is known to feed on large shoals of tiny fish rather than hunting bigger fish and sea mammals.This makes the whale shark a filter feeder similar to whales and smaller sea animals. The whale shark inhabits the warm, tropical waters around the equator and despite often being found close to coastlines, the whale shark is also known to dive to depths of up to 700 meters (that over 2,000ft deep). In this part of the ocean, food is more scarce and the whale shark will therefore only venture to such depths if hunting in the shallower waters is not possible. The whale shark is the perfect example of a so-called friendly shark and to date have posed no significant threat to humans (mainly divers). 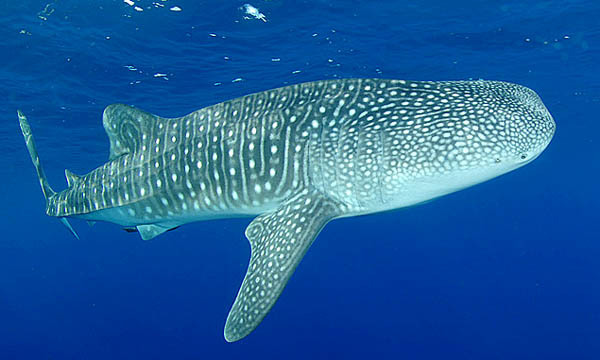 The whale shark is most commonly spotted around the Gulf of Mexico and the Indonesian Islands where the whale sharks have been known to be almost playful towards humans. 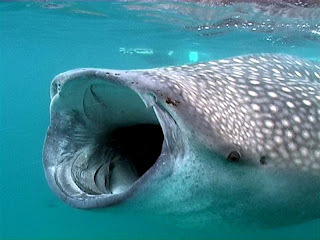 Female whale sharks incubate their eggs inside them rather than outside. 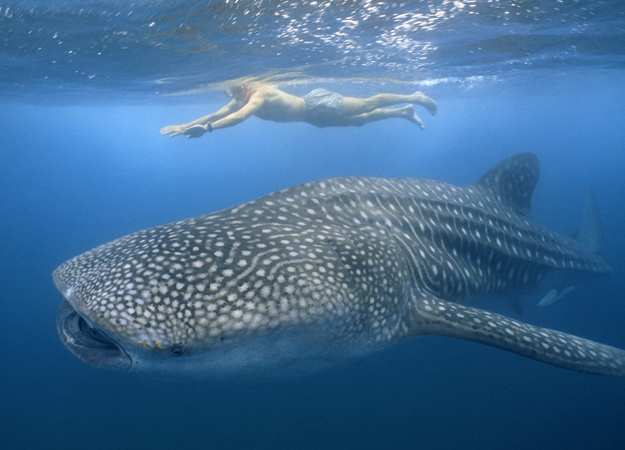 This means that whale sharks effectively give birth to live young. Inside the female whale shark are hundreds of eggs but only a few actually turn into baby whale sharks. The remaining eggs are thought to be there so that when the whale shark pups hatch, they have something to eat. 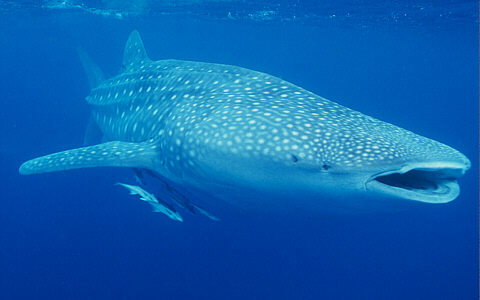 The female whale shark gives birth to an average litter of 12 whale shark pups that are around 60 cm long. 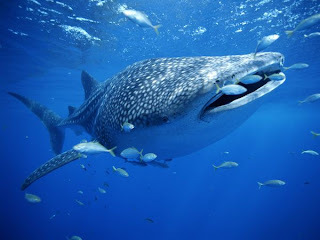 Whale sharks grow quickly during their first few years and soon the whale shark pups are extremely big and therefore less likely to be hunted by marine predators such as other shark species and killer whales. 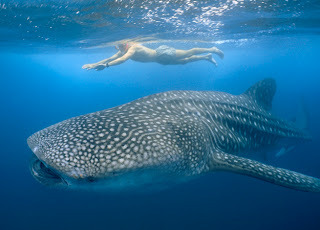 Whale sharks tend to live for around 60 to 80 years but have been known be more than 100 years old. 0 Response to "Whale Shark"